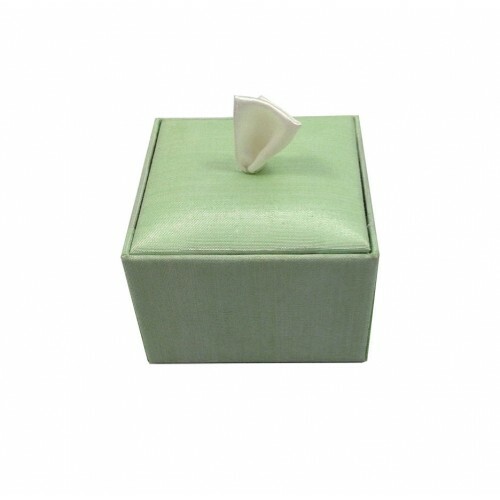 Another premium quality wedding favor box by Dennis Wisser. 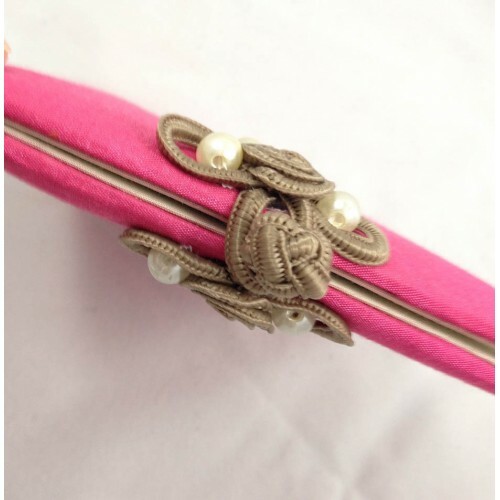 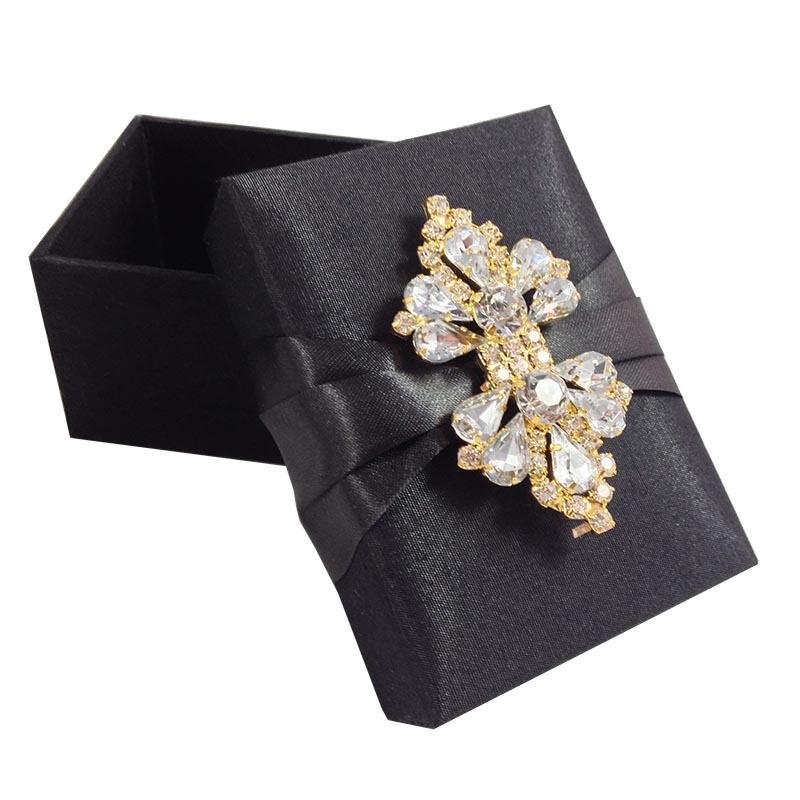 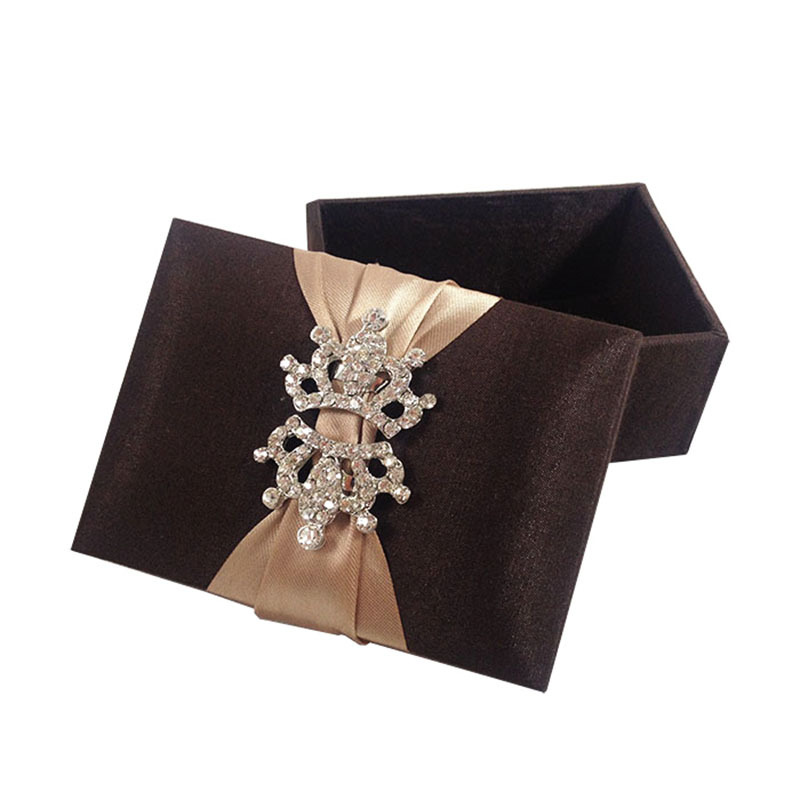 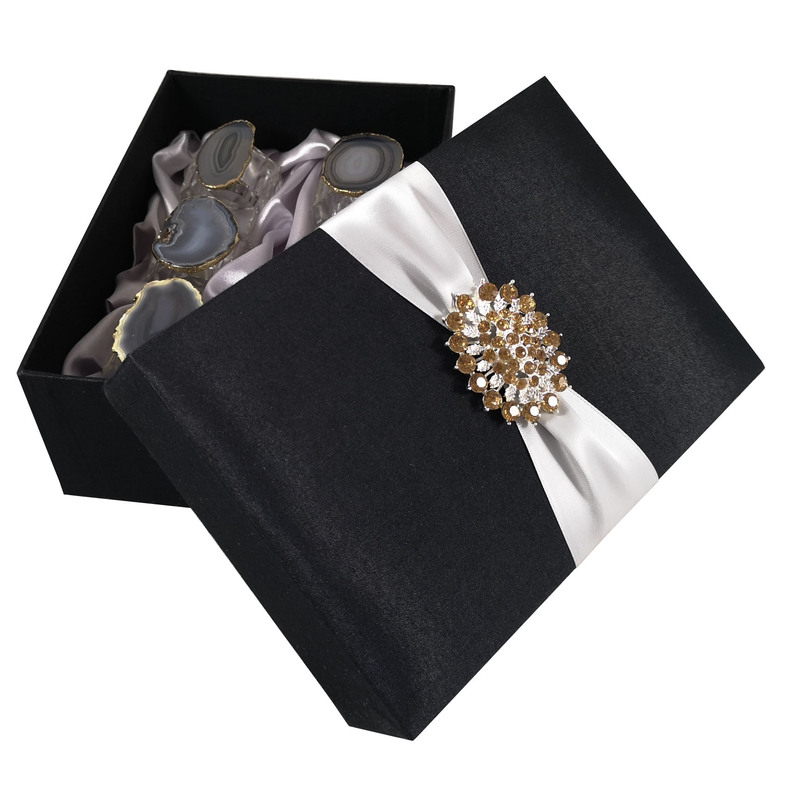 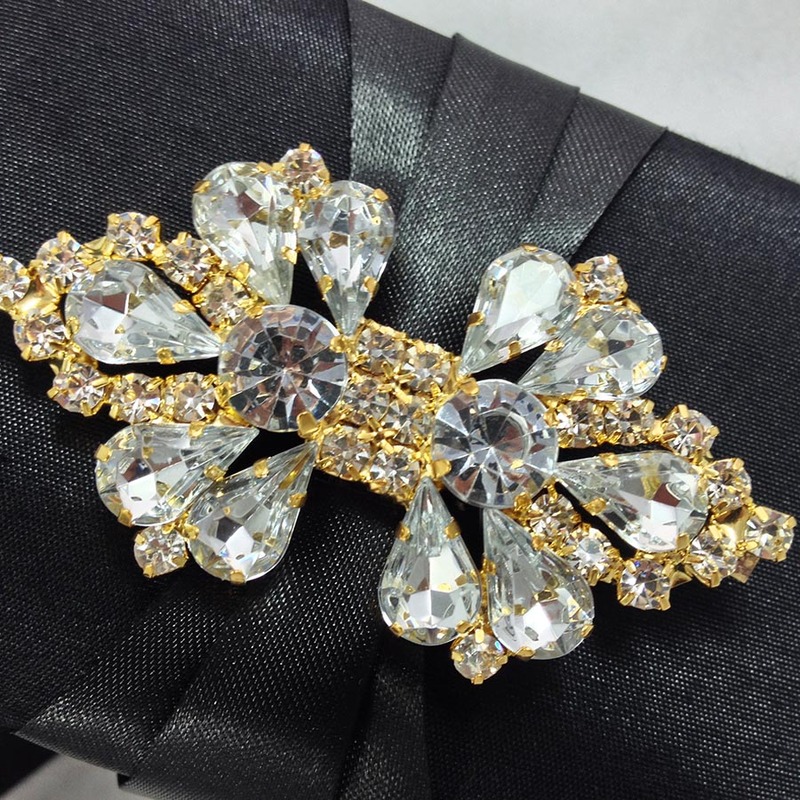 Embellished with silver plated rhinestone crown brooches (set of two) with light brown ribbon attached to the lid of the chocolate brown favor box. 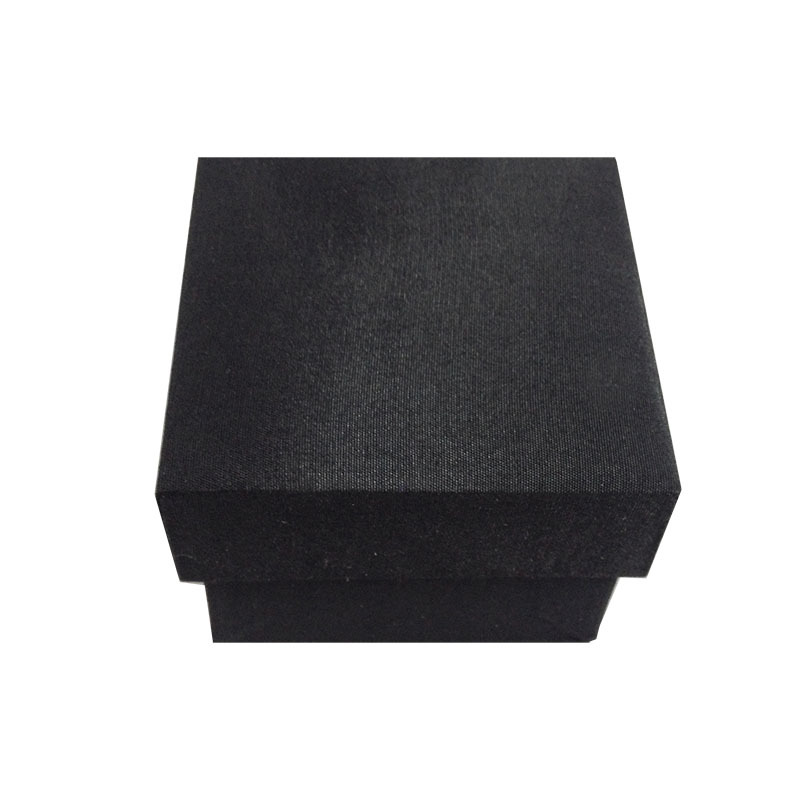 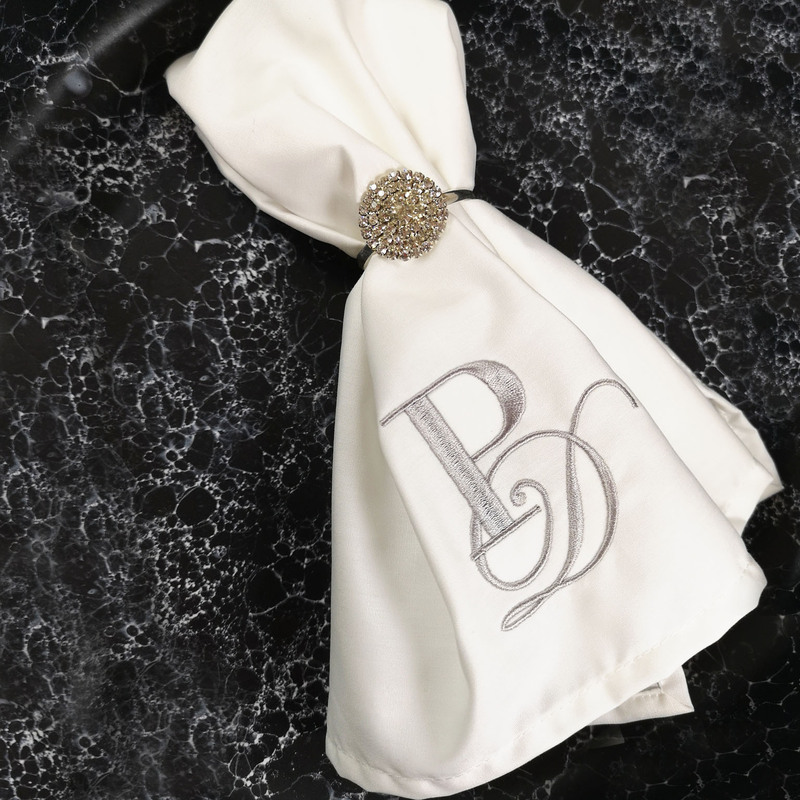 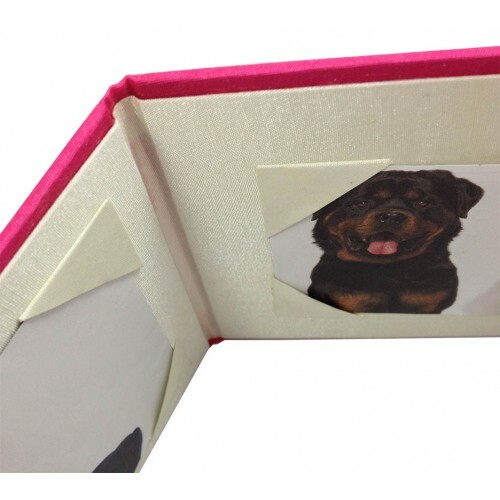 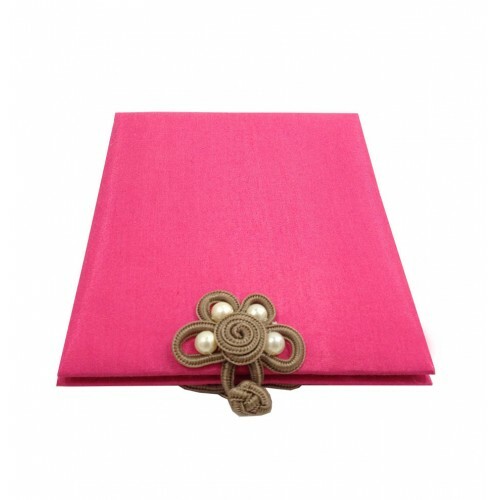 The box is padded inside and outside and makes a very luxury appearance. 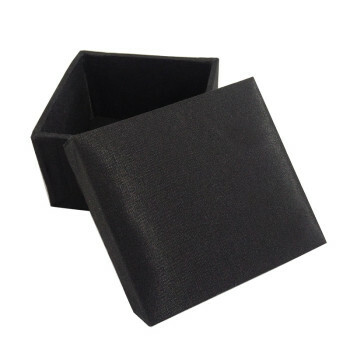 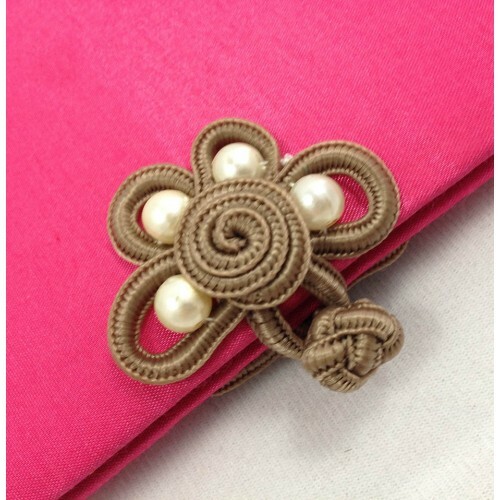 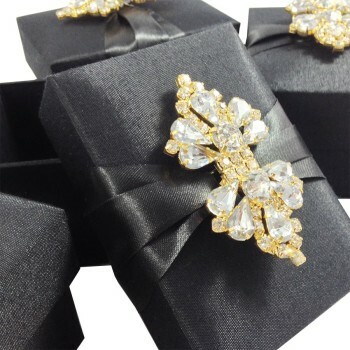 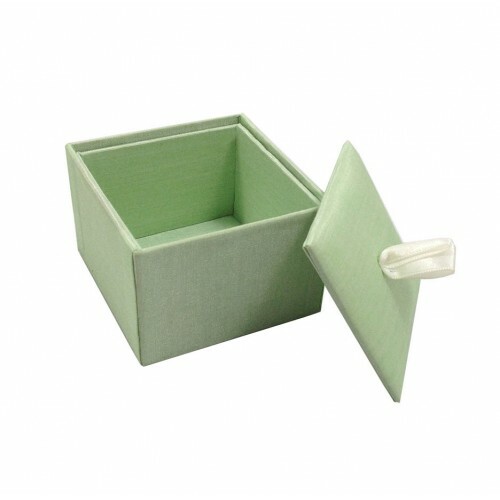 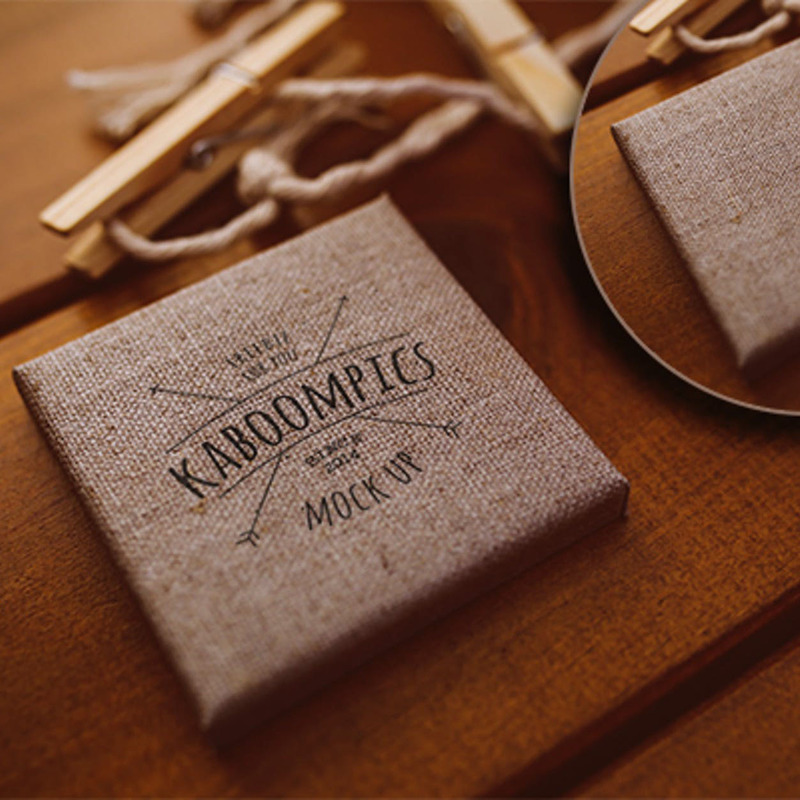 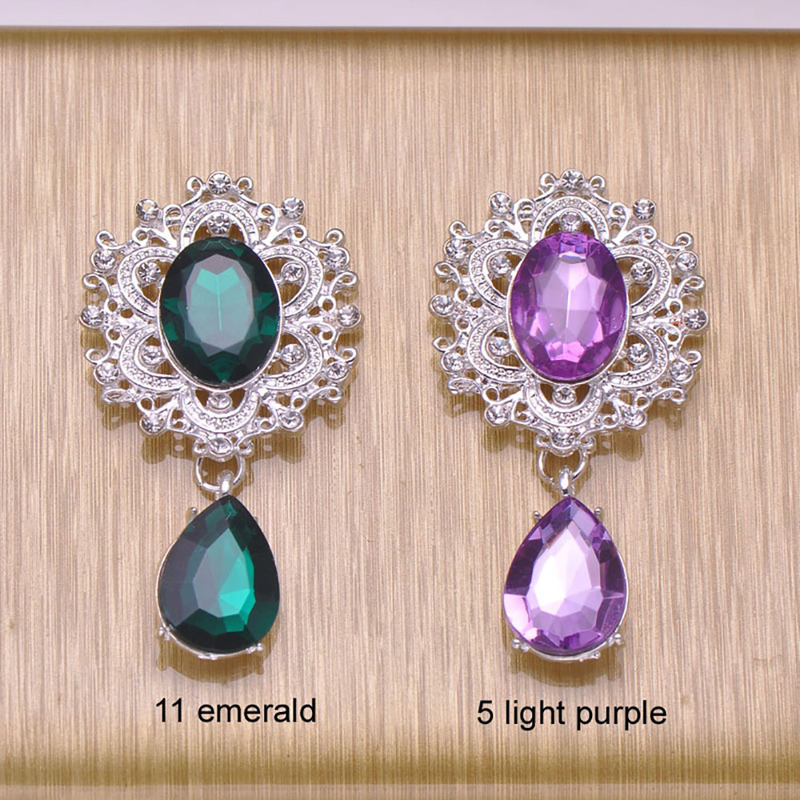 use such box design for your wedding favor, gift giving, baby shower favor or for jewellery packaging. 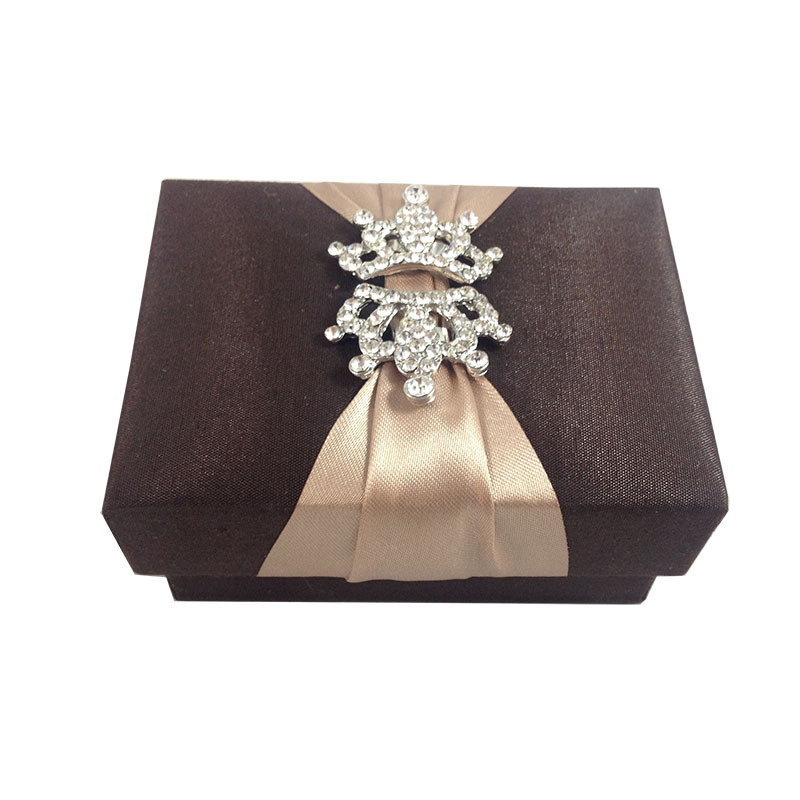 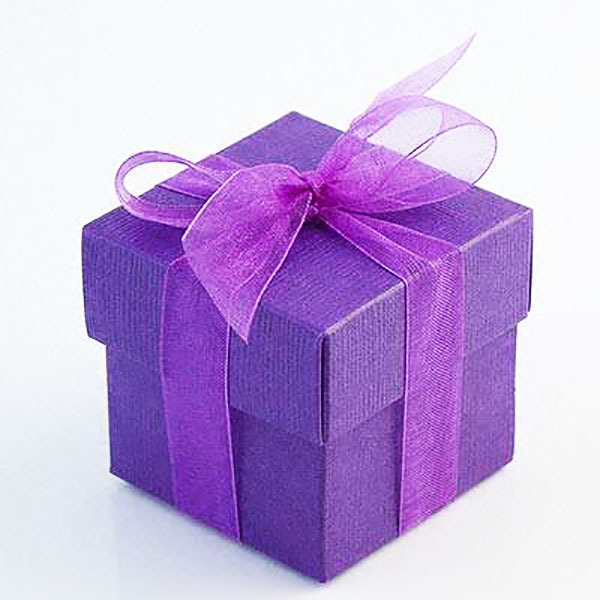 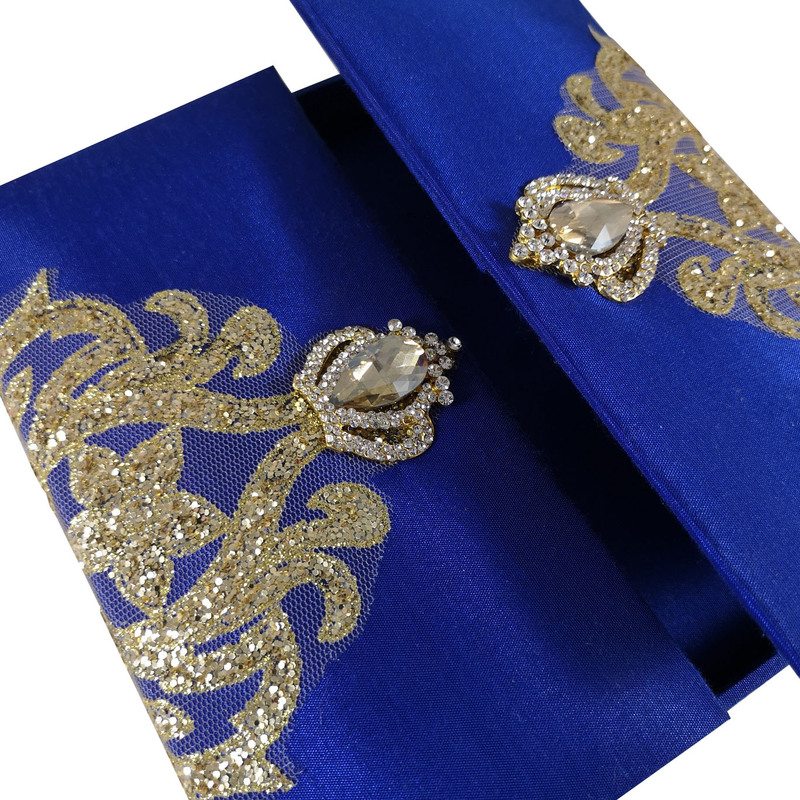 Whoever receives such luxury box will be pleased, a long lasting memory guaranteed. 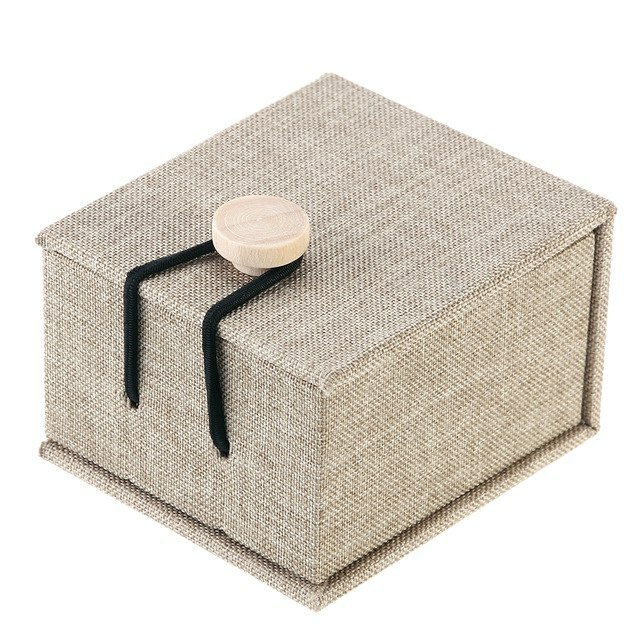 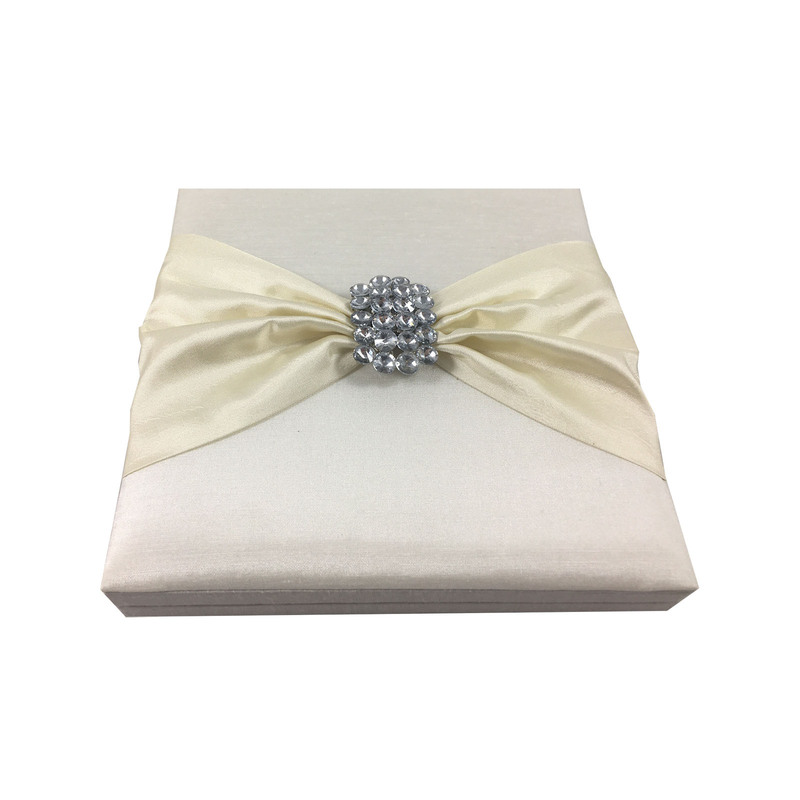 Our luxury favor boxes are made available to our clients in a large variety of colors and sizes, just send us an e-mail and discuss your customisation requirements, we will do the rest. 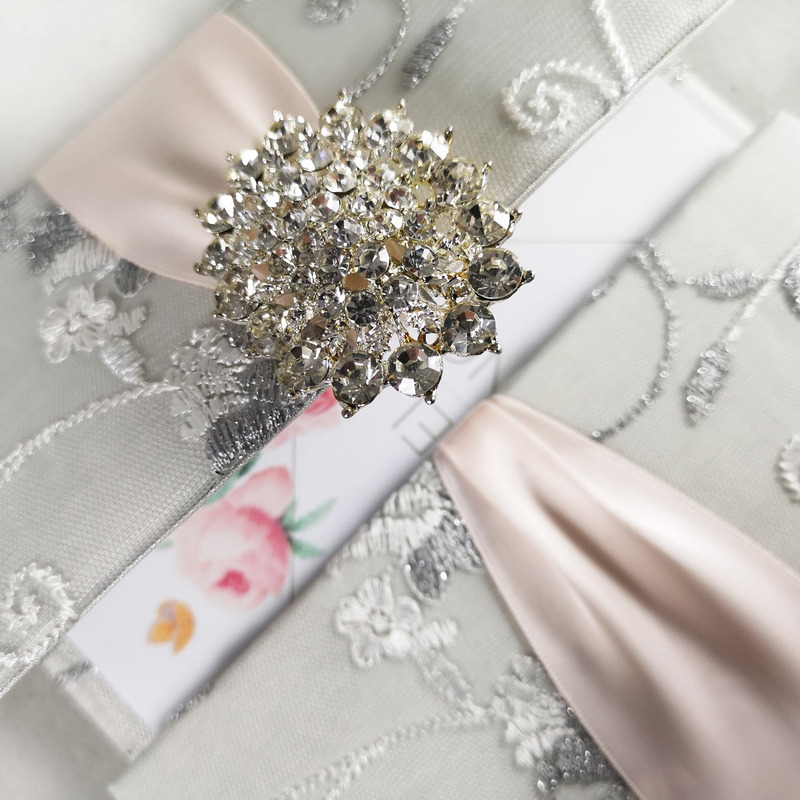 Our team of talented craftsmen in our factory in Chiang Mai, Thailand is able to manufacture large and medium sized orders in timely manner. 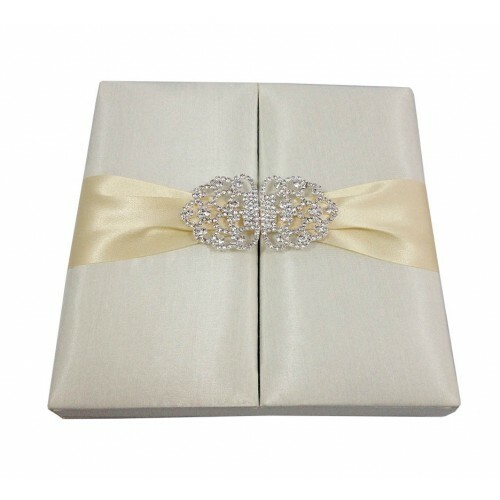 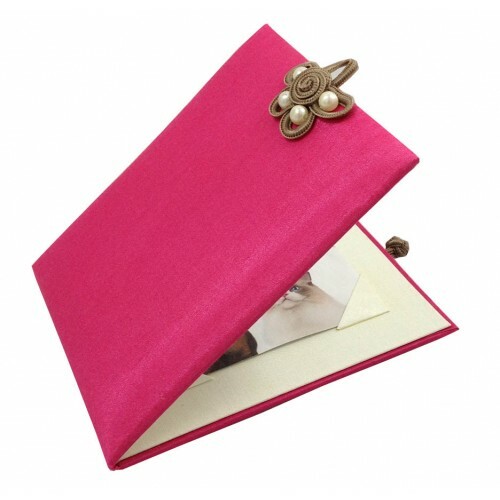 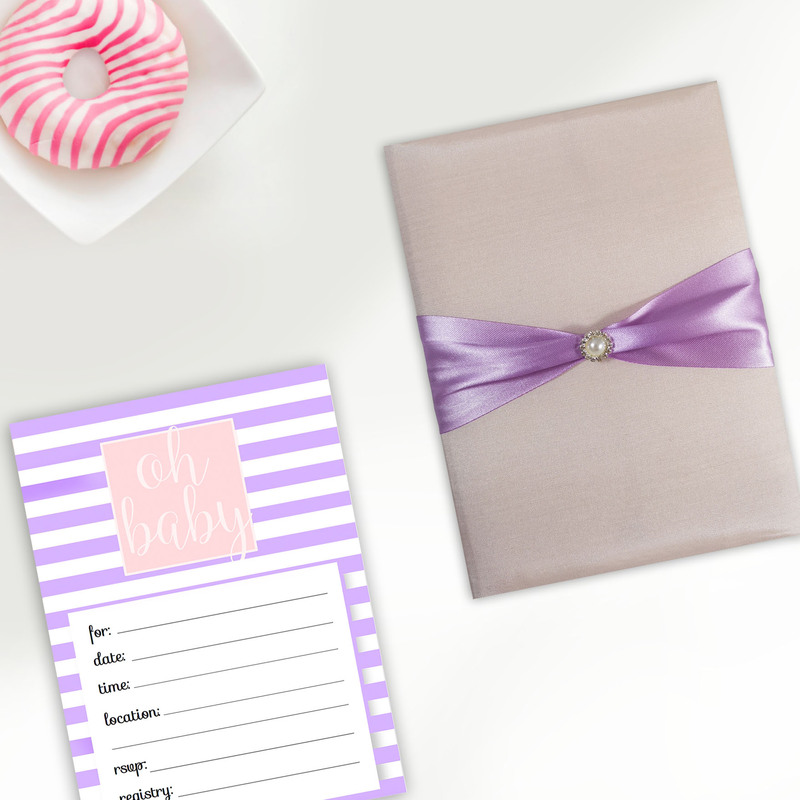 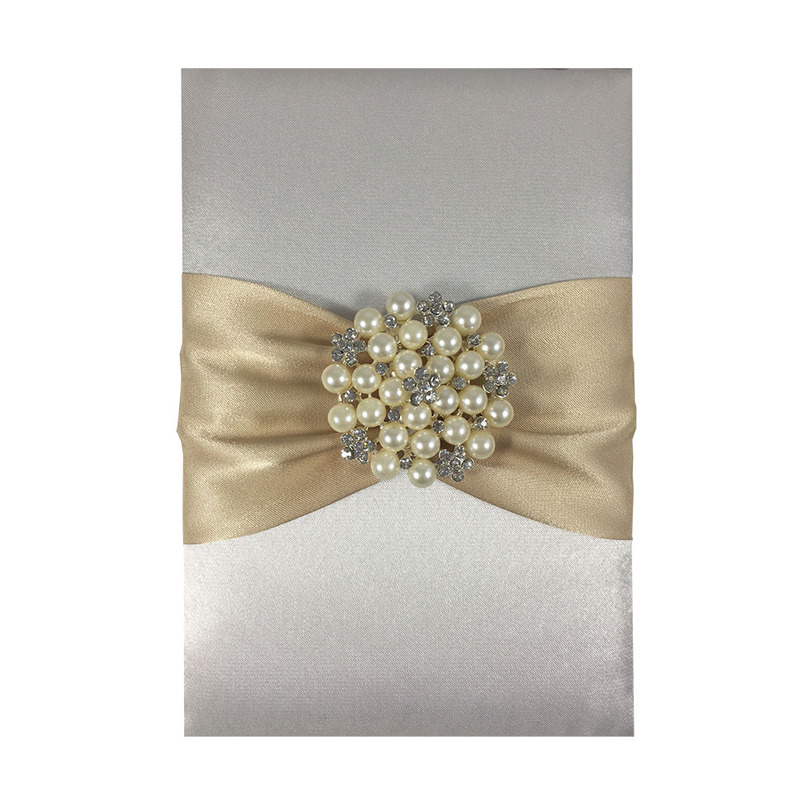 High quality standards and always most unique designs make us the leading player of luxury wedding invitations and event gifts in the market.